This is my second home automation project using the ESP8266 (NodeMCU). 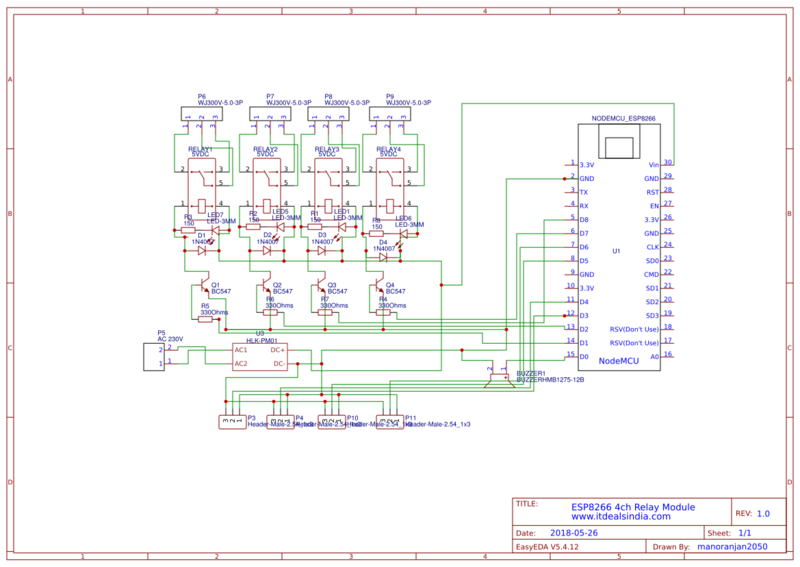 Many thanks to JLCPCB for high-quality PCB, and EasyEDA web software for making the schematic. Here is my EasyEDA project -- feel free to edit and use it. I made this little home automation project for my light and one small fan. Also, I designed this project for new users and students who want to learn abotu home automation with the ESP8266. If you have any probelms, please check out adn comment on my YouTube video. My big request to everyone is to please subscribe my YouTube Channel to receive the latest updates and other new projects on IoT, Arduino, and Raspberry Pi. More photos of this project can be found below.